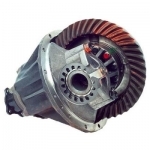 USED Truck Parts is specialised in second-hand parts for MAN trucks. We buy MAN trucks which are dismantled by technicians with many years of MAN experience. The dismantled parts are cleaned, tested, labelled and stored on a numbered location in ideal environment conditions.